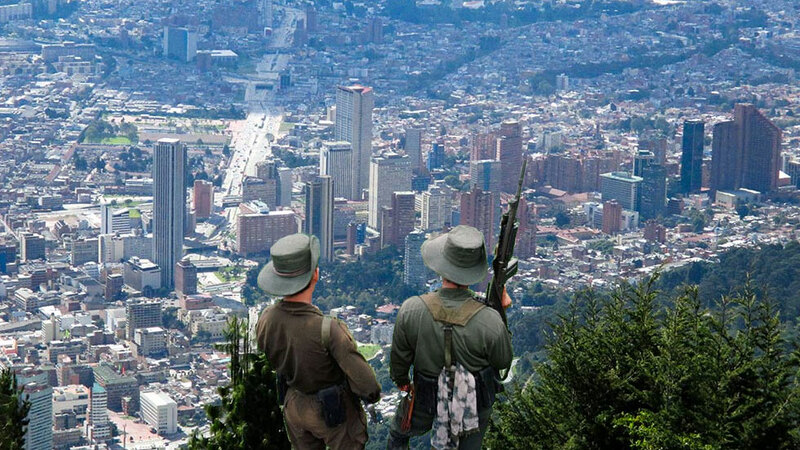 Paramilitary groups have taken control of considerable territory in the south of the capital Bogota, news website Pacifista reported based on Ombudsman alerts. In a 22-page document from 2016 and a follow-up report from this year obtained by the website, the Ombudsman warned that the districts of Usme, San Cristobal and Rafael Uribe in particular are most at risk of violent action by these illegally armed groups, explicitly warning about the presence of paramilitary group AGC, originally from the northwestern Antioquia province. There is evidence of a territorial movement of uniformed men armed with rifles, bearing emblems and whose daily actions are related to military action of confrontation against legitimate military targets. Paramilitary groups have been on a rebound since 2006, the last year of the demobilization of now-defunct paramilitary umbrella organization AUC. Colombia has experienced a series of killings of left-wing community leaders and human rights defenders since the government signed a peace accord with the Marxist FARC rebels, most notably in rural parts of the country and Colombia’s second largest city, Medellin. The Ombudsman raised concerns more assassinations could follow, but in the capital, which has traditionally suffered least from paramilitary violence or terror, while these groups and their predecessors have long been the primary violator of human rights in Colombia. The alert highlighted the ongoing violence and intimidation Bogota community leaders have had to endure. The report from the Ombudsman went further than the threat to community leaders, and stressed the threat of children and adolescents being recruited by the groups, many of whom are dissident groups of now-defunct paramilitary umbrella organization AUC. The Ombudsman’a Office reportedly asserted that the AGC had taken control of existing crime structures in the capital to forge alliances, threatening the security to neighborhoods such as Vista Hermosa, Diana Turbay, San Cristobal Sur, Santa Librada and 20 de Julio, among a list of more than 50 potentially paramilitary-controlled neighborhoods. The AGC have been targeting members of the Colombian police for years, killing them in cold blood across the country in what the police call a “Pistol Plan” that directly targets the institution in charge of public security. Ombudsman Carlos Negret recently reprimanded National Police director General Jorge Nieto for failing to act while claiming the AGC had entered the capital and put on the head of the officers. The AGC announced its existence in the northwestern region of Uraba in 2008 and has since expanded territory under its control along Colombia’s Pacific coasts, into Medellin, then central Colombia and now, according to the Ombudsman, into Bogota. The AGC are Colombia’s most powerful drug trafficking organization and the primary remnant of the AUC, which demobilized under former President Alvaro Uribe between 2003 and 2006. Another groups active in the capital are the Aguilas Negras, an explicitly extreme-right paramilitary group, ideologically closely aligned with Uribe, an opponent of peace with the FARC, and Los Rastrojos, originally an enforcer army of the Norte del Valle cartel. Paramilitary groups have been active in Colombia since the 1950s, initially as a counter-insurgency tool, but have mushroomed since then, especially after cocaine began fueling Colombia’s armed conflict. The current generation of paramilitary groups, with the exception of Los Rastrojos, are AUC dissident groups reinforced by younger recruits.